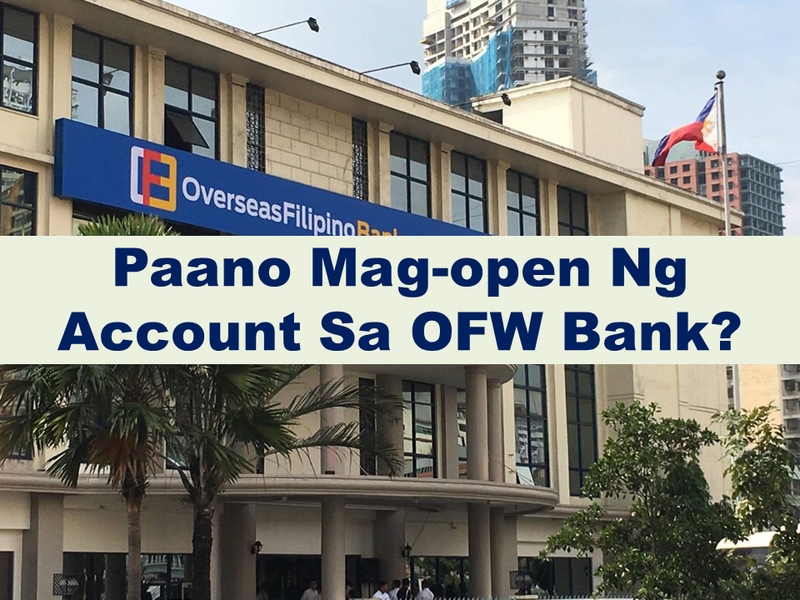 Since the opening of the Overseas Filipino Workers Bank in its office at the Liwasang Bonifacio in Manila, questions from OFWs on how to open an account has been flooding threads and forums. 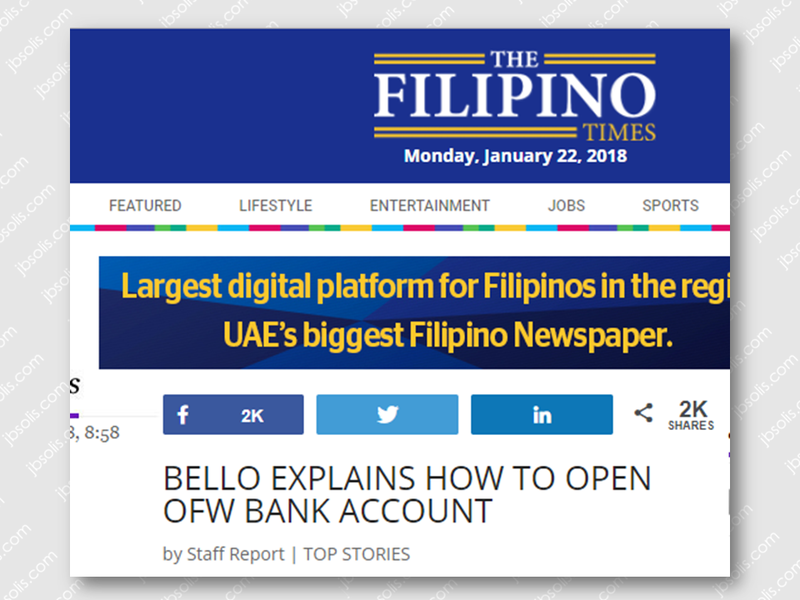 The Filipino Times, an online publication based in the UAE had a phone interview with Labor Secretary Silvestre Bello III and he explained how interested OFW can open their accounts and do transactions with OFW Bank. Secretary Bello said that the process and requirements if any OFWs would want to open an account are the same as the usual requirements with other banks. —Bring the needed requirements such as valid identification documents, latest photos, etc..
—Choose whether you want to open savings or checking account. He also said that OFW will eventually be able to apply through their website once its finally up and operational, making transactions easier and more convenient. The OFW Bank will also open their overseas branches very soon and once it becomes readily available, OFWs from abroad can also do transactions directly in the convenience of their host country. 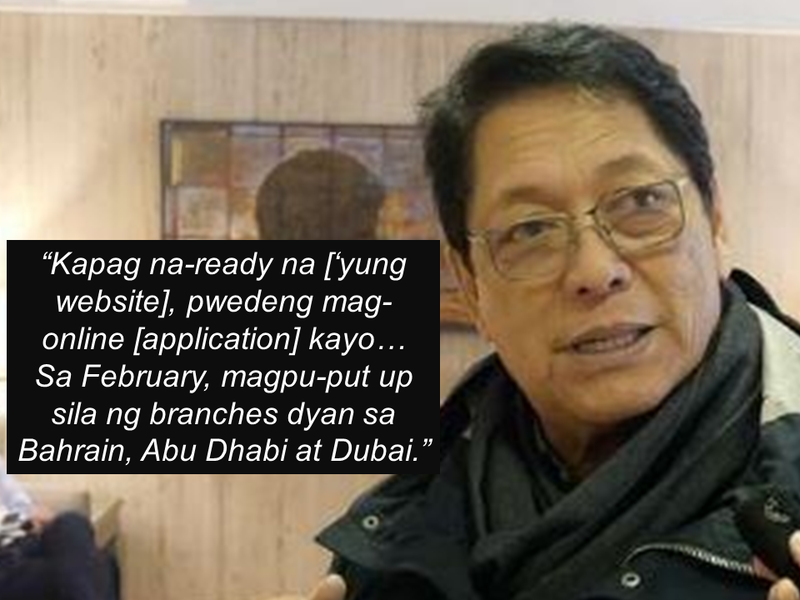 In February, as Bello said, there will be available OFW bank branches in Bahrain, Abu Dhabi, and Dubai. Bello said that they are planning to extend the bank’s services to the dependents and beneficiaries of the OFWs, but as of now, it is exclusive and limited to be availed by OFWs only. 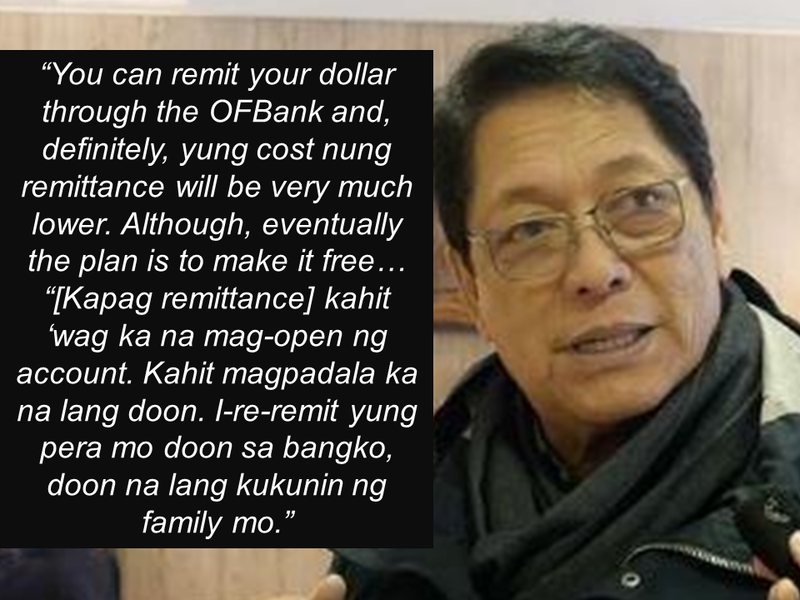 Dollar remittances will also be accepted and to do it, OFWs do not necessarily need to open an account. They can send their remittances and enjoy lower cost but Bello reiterated that their plan is to make OFW remittances free of charge when done with the OFW bank. However, since overseas branches are not yet opened, the banks' international services such as sending remittances are not yet available.